2. 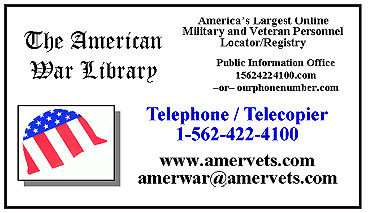 Print and mail or fax this completed form, along with a photocopy of the required document(s) described on the Instruction Page, or other pre-arranged document(s) to the address below. Charge card or Debit card applicants: To expedite shipment of your Replacement Recognition you may email this form today. Your Replacement Recognition will be prepared and awaiting the arrival of your DD-214 or other, pre-arranged military document(s). I will mail a money order along with my application and documentation. The Library will receive my envelope within 10 days from today. I want the items on this Application Form (and other Forms I am submitting today) to be shipped As Soon As Possible. Bill my charge/debit card and send me an email receipt between the 1st and 5th day of each month for each shipment. Please note that I am using a credit/debit card that will not expire before all of my monthly shipments have been sent to me. Your Application Form is now complete. After clicking the grey-bar button below to send this Form you will soon receive a confirmation email containing final instructions on which items, if any, are needed to fulfill your request. (Your DD-214 can be mailed, faxed or emailed).